1. In Edumate, click on ‘Learning’ from the left menu, then ‘Learning Reports’. 2. 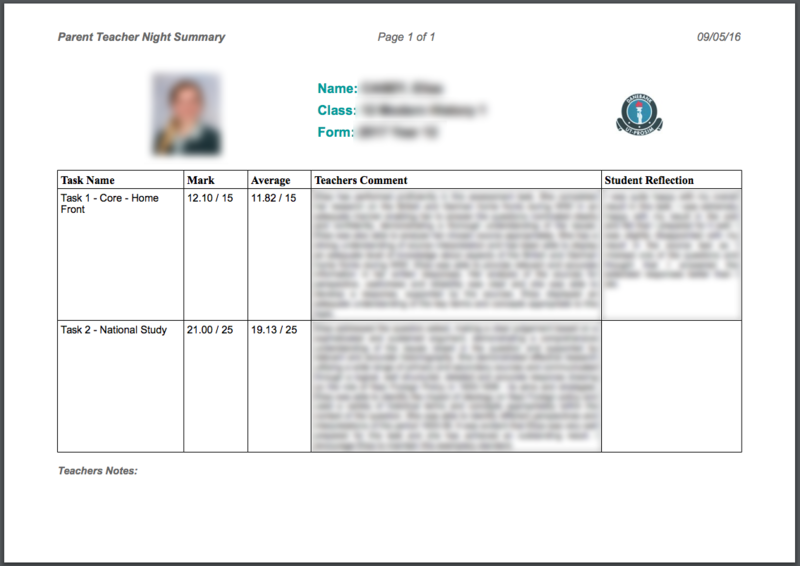 Click the category ‘Learning Overviews’ then click on ‘Parent Teacher Night Summaries’. 3. Select the class you want to generate the summaries for, then click ‘Generate’. 4. 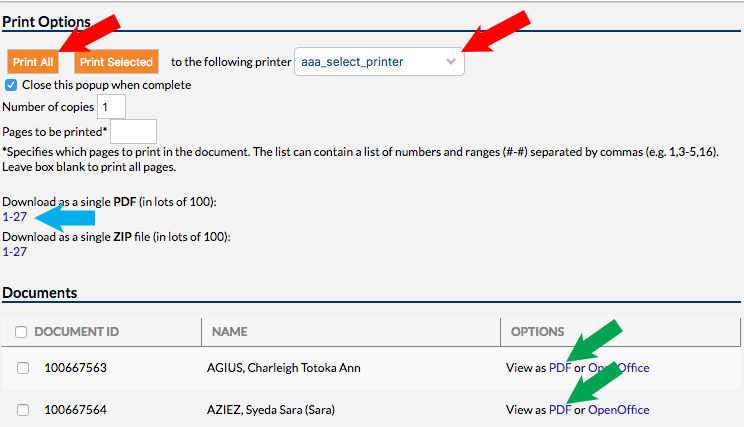 A pop-up window will appear from which you can either print all student summary documents to the selected printer (red arrows below), download all documents as a single pdf file (for reference on an iPad for example, blue arrow below), or download the pdfs of individual student summaries (green arrows below).